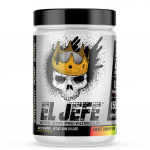 Pre workout Sale at Muscle and Strength. 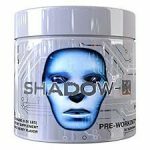 Buy Cobra Labs Shadow-X (30 serv) & Get one free for $29.99. This is the best total price we saw by $28. 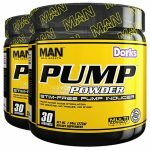 MAN Sports - PUMP Powder - $9.99!!! CRAZY DEALS AT MAN Sports!! MAN Sports is running a clearance sale on select items bringing some of the prices to ridiculous levels. 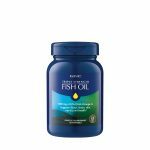 This brings the price of the PUMP powder down from $30 to $9.99! Available in 1 Flavor and stocks are limited. Shipping is free over $99 or flat rate in the USA. 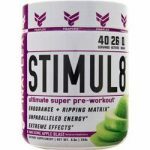 The price for the powerful STIML8 Pre-Workout (200g) drops to $20.79 at All Star Health (3 flavors). This is the lowest price we’ve seen for this pre-workout in 2018. 40 TRUE one scoop servings. 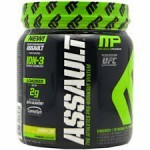 Muscle & Strength Under $20 Sale. The price on the Ronnie Coleman Signature Series Stacked-N.O. Pump Shot, drop from $32 to $9.99. This is the currently the best price we could find by at least $11. 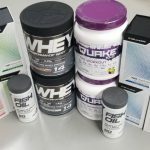 NutraPlanet just dropped a spring shredding stack on its blowout sale packing as much as 12 supplements together for $70 shipped. The retail value of this stack goes well beyond $200. 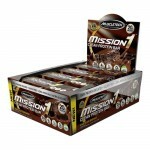 The pack is focused on getting you shredded and includes – Protein, fat burners, pre-workout, multivitamin & more. 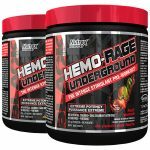 The price for 2 X Hemo-Rage Underground (60 sev ea) drops from $70 to $34.99, when you use Supplement Hunt coupon code 120underground during checkout. This is the lowest price we’ve seen by $37. 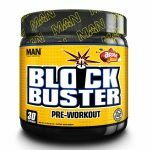 The price on the MAN Blockbuster pre-workout (30s ) drop from $39.99 to $29.99 and then to $14.99. This is the best total price we saw by at least $10. Choose the flavors of your tubs (2 flavors currently available).